In an hour-long discussion, this week’s Political WorldView podcast provides all the necessary information and analysis to understand the US withdrawal from the Iran nuclear deal and what might now happen — between the US and Iran, across the Middle East, and in key areas such as the European Union, which now is vital to the future of the agreeement. 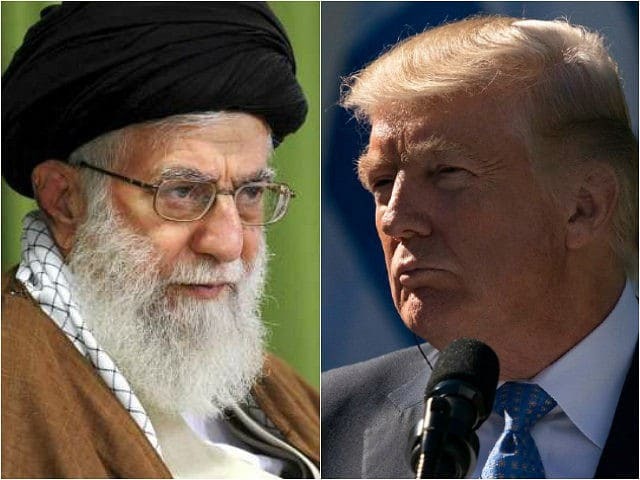 Regulars Adam Quinn and Scott Lucas are joined by University of Birmingham colleague Nicholas J. Wheeler, whose just-published book Trusting Enemies covered the fractious state of US-Iran relations, past and present. 1. The Trump Administration’s approach is not for a new deal — it’s the pursuit of regime change by breaking the Iranian economy. 2. Will the EU and the European Three in the agreement — the UK, France, and Germany — be willing and able to maintain the economic links that Iran requires not only for the agreement but perhaps for stability in the near-future? The panel is divided. 3. There is likely to be a power struggle in Iran — maneuvers have already started — with hardliners pushing President Hassan Rouhani to the side. 4. Iran will step up its involvement in regional crises such as the Syrian conflict, its support of Lebanon’s Hezbollah, and its rivalry with Saudi Arabia, with effects on the Yemen civil war. There are also likely to be effects on the uncertainty in Iraq and Afghanistan. The plan is to increase US and Saudi oil production to offset the possible loss of Iranian crude and condensate.